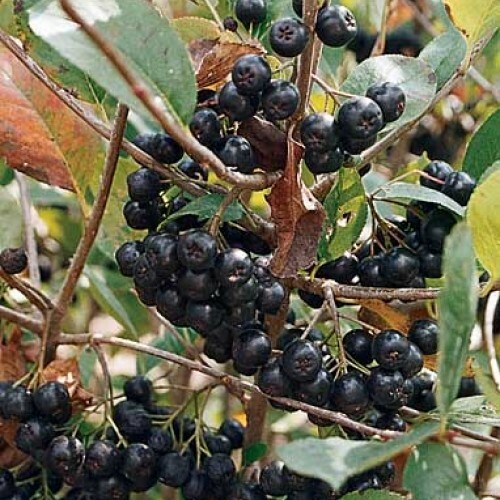 Like the name suggests, the chokeberry is an astringent fruit with a strong flavor. Processed with apple, plum or blueberry and a little sugar the flavor mellows like a tart blueberry and adds a full bodied anthocyanin punch. 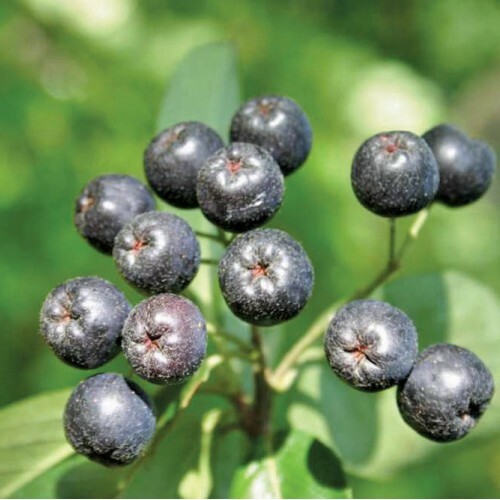 The dark purple juice is used in sports drinks under the name Aronia. The purple fruit is high in minerals, iron, anthocyanins. Said to improve circulation and increase mental alertness a lot of our customers swear by the health benefits of this plant (Even despite the rather acrid raw flavor of the juice if not sweetened.) We have used the recipe for elderberry and make jam from this fruit. 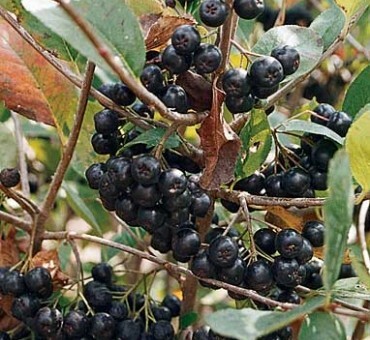 This plant is easy to cultivate and produces clusters of dark purple astringent fruit. Nero is a German selection and is extremely productive with large fruit twice that of what you find in the wild. Nero is the most productive of all selections and can be grown from seed and is now widely used for juice in various sports drinks. Does best in moist acidic soil but tolerates sandy dry soils. 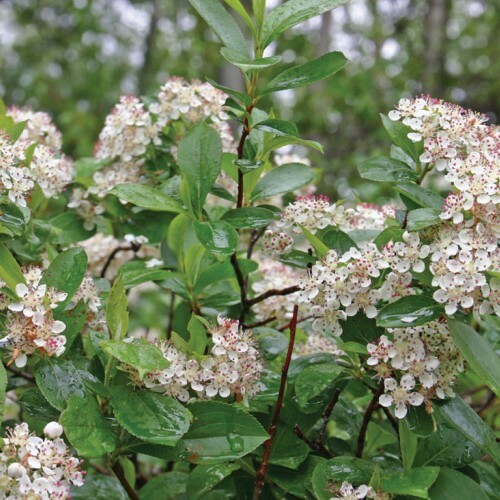 Kind of a cool season plant for wetlands or areas of high humidity but grows well in non irrigated sites. In 2-3 years plant flower and fruit profusely. Somewhat shade tolerant and will fruit under oak trees. Deer consume the foliage.